Instead of the usual stone cold foxes and vixens, I wanted to bring you a special edition of "Child Stars Then & Now" featuring the Culkin brothers. For some reason these three brothers have mysteriously fascinated me over the years. If the only Culkin you know is Mac and Home Alone is the first film that pops into your head when you think "Culkin", then allow me to introduce you to Rory and Kieran. Trivia Bit: His baby picture appears in a scene in The Good Son staring Maculay and Kieran and as a young Richie Rich (Mac) in Ri¢hie Ri¢h. Personally I don't think Rory turned out as handsome as the other brothers, but that's just me. Trivia Bit: I actually interviewed Kieran when he was 16. He was promoting a movie called The Mighty. We met for lunch at the Regency Hotel in Manhattan and the only thing I can remember is that his mom was lunching near our table, he spent the majority of the lunch playing with his straw and I think he hit his costar with a spitball. The only thing I remember about him info-wise was his answer to, "What is currently in your CD player?" His reply, "The Cranberries." Must-see Movies: Home Alone, Uncle Buck, My Girl, Party Monster, Saved! Trivia Bit: Shocked the public by marrying his childhood girlfriend at 18 and split by 20. Recently said to have married longtime girlfriend Mila Kunis on Valentine's Day. One of Michael Jackson's favorite little boys. He truly was an adorable little boy, but as an adult, I dunno but he does have great style. Thanks for the inside scoop, baby! Awesome. I recent saw Mac in something recently and he wasn't bad. He must not have been great either, because I can't remember the name of it. What happened to that youngest brother? He's scary looking now. Culkins sound like they have seen better days. Again, you've destroyed one of my idols. Kieran sounds like he was a smidge on the douchey side when you spoke to him (similar to the Hansons). He had the most promise out of the 3 as far as I'm concerned. Maculay jumped the shark after Ritchie Rich. I didn't know about Rory. Is that bad of me? Probably not. Don't know that I've ever seen the other two Culkins in anything....gotta admit Mac was cute in Home Alone. Thanks for continuing to do what you do and for doing it so well! I think R&K look much better than Maculay, but all 3 of them looked stoned. Occasionally, I get sucked down a Wikipedia rabbit hole. Yesterday, I spent a great deal of time reading about the Culkins. I'm a big fan of Saved! 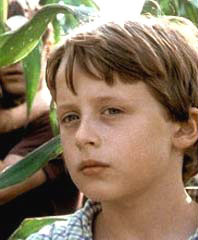 and the Dangerous Lives of Altar Boys...so I love me some Culkin. Only problem? I can't tell Mac and Kieran apart. I don't know about anyone else but as adults they seem like creepy cherub type creatures. Rory FTW! I love Signs, so in my estimation he's the best Culkin. 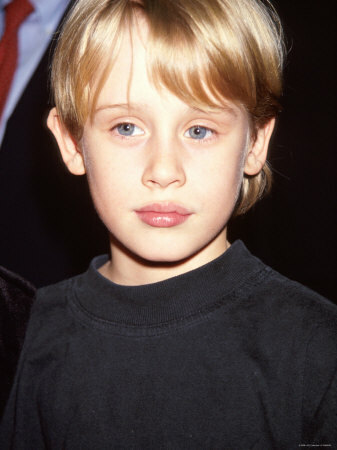 I didn't know any of the Culkin's other than Macualy. Or maybe I did.. they all look identical. Maybe I've seen them all and just thought it was Macauly. I feel so out of touch, I didn't even know Kieran existed! I still can't forget the cute little Mac from Home Alone. He was adorable and funny then. Not very sure about now! They were much cuter when they were younger. Rory was really good in the film, Mean Creek. rory looks pretty handsome in a intense kind of way. and i LOVED the dangerous lives of altar boys. emile hirsch. 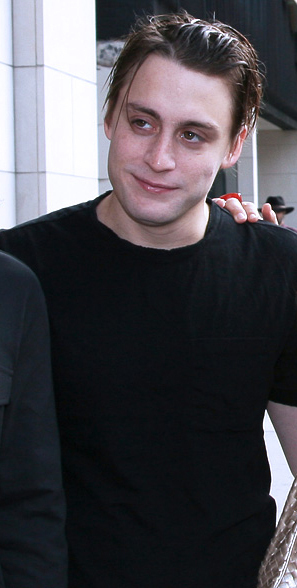 Mac was great in Party Monster. Really disturbing...which was perfect for the role. Plus I've always felt like Mila was WAY too hot for him, but it makes me like her even more! PARTY MONSTER. Love it. Can watch it over and over and over. MC and SG were just amazing together! So good! I don't think I remembered that there are 3 of them. My mommy brain has failed me again! LOVE the Culkins! Kieran turned out to be quite a hottie! And I love me some Cranberries. I always thought it was really neat that Macaulay and Mila Kunis were an item. I hadn't heard they got married! I had no idea there was more then one! I think Keiran is the cutest of the three. I didn't know about the youngest one. 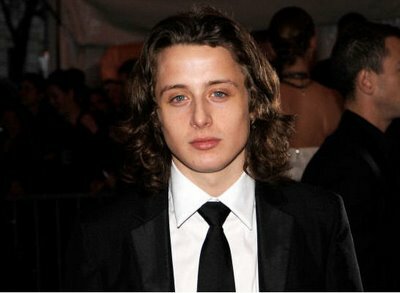 He looked like a Culkin when he was small, but now he looks like a girl. And not just cuz of the hair. I don't know why. I didn't know that the oldest one married Mila Kunis! I can't write his name cuz I don't know how to spell it so I'm just sayin' oldest one. I think they're all nice looking boys. And besides a few minor scrapes with the law, haven't they all missed the bad fates of child stars? And weren't their parents nutjobs? I didn't even know about the little one. I think Macaulay is the least cute of the 3. I am with everyone who didn't even know about the third one. My kids still like to watch Home Alone! Saved! is one of the best movies EVER MADE. I have never seen any of those movies you mentioned, and have only ever heard of Mac. Man, I feel old when I come over here! I loved Dangerous Lives of Altar boys and I love that there were like two secret Culkins. One of them was also in a movie called, "My Summer Story" (I think that is what it was called). It was an adaptation of a Jean Shepherd story. Pretty cute as I remember it. 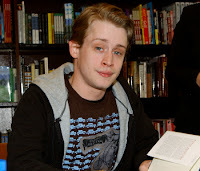 Have you seen 'The Party Monster' with McCauley and Seth Green? Have you seen Russell Brand's stand-up act where he talks about meeting Mila Kunis' boyfriend for the first time on the set of 'Forgetting Sarah Marshall'? Hilarious! Keiran is in the new movie 'Scott Pilgrim vs. The World' movie with Michael Cera! It looks great! I'm going to watch 'My Girl' right now! SHE DIDN'T KNOW HE WAS ALLERGIC TO BEES!!!! Sorry.... Did I ruin it for you?